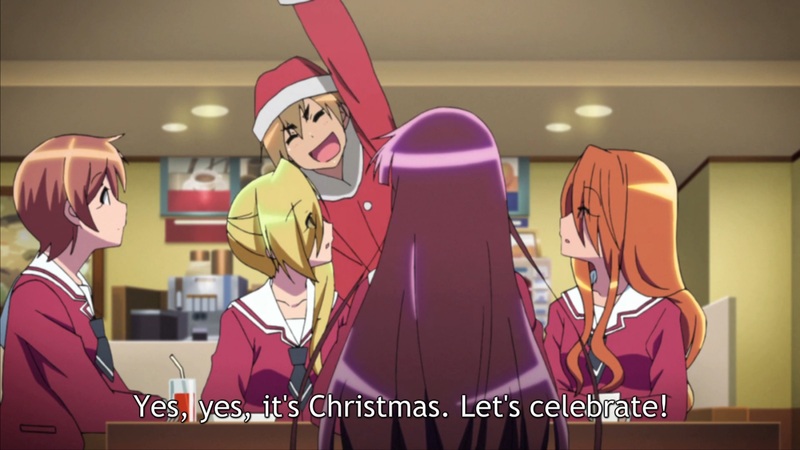 12 Days of Christmas Anime, Day 10: Re-Kan! 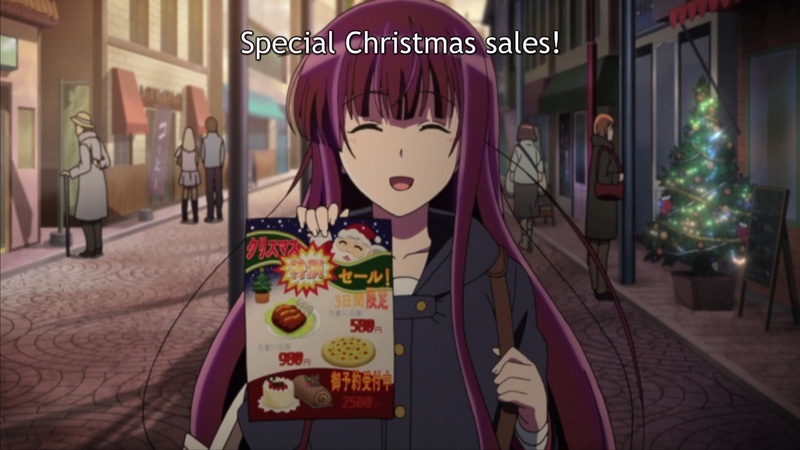 Episode six of Re-Kan!, which deals with the love of parents for their children on Christmas, seems like an apt choice for this post. Generally, the themes of friendship and familial love hold first place among the topics discussed within this show, and this episode is no exception. A spirit temporarily possessing Amami’s body, a kogal girl, desires to reconcile with her mother; though, she is also hesitant because she feels like she let her parents down. Also, Uehara, one of Amami’s close friends, hopes against hope that her parents will be reunited with her for Christmas. That reality which man has ever sought, God, has also ever been seeking man. 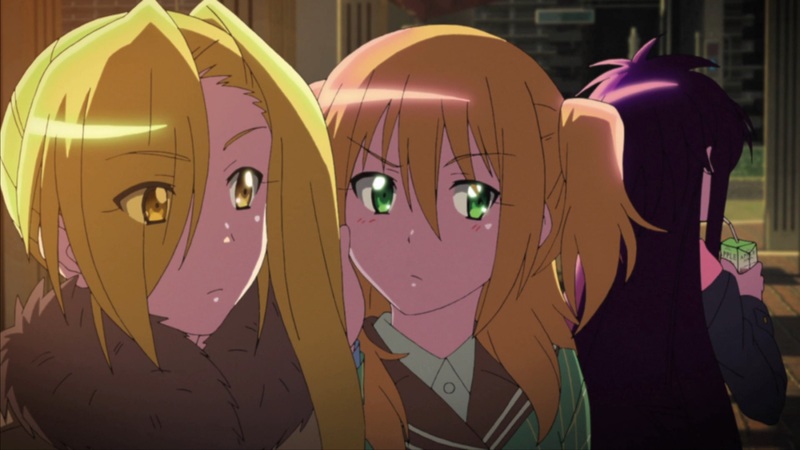 When the kogal ghost eventually meets her mother, she complains about her mother always setting a third place at the table for her lost daughter, saying that her mother ought to have had another child and forgotten about her. 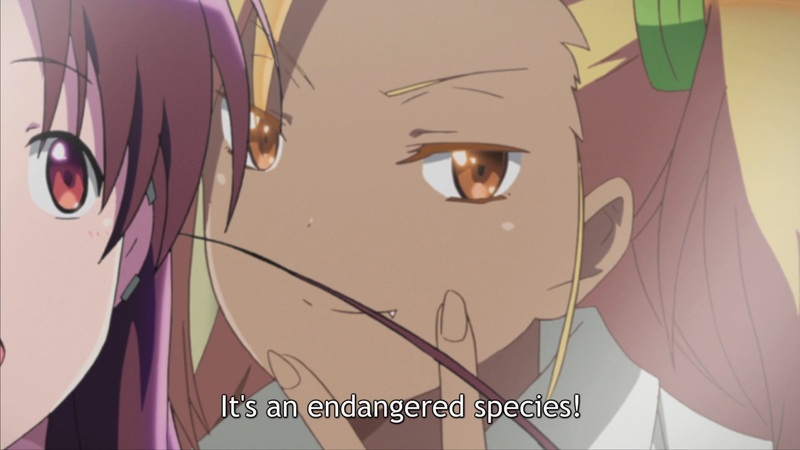 After saying this, she runs away, hoping to escape her mother through crossing a street as the light changes; however, her mother catches up to her and holds her closely. 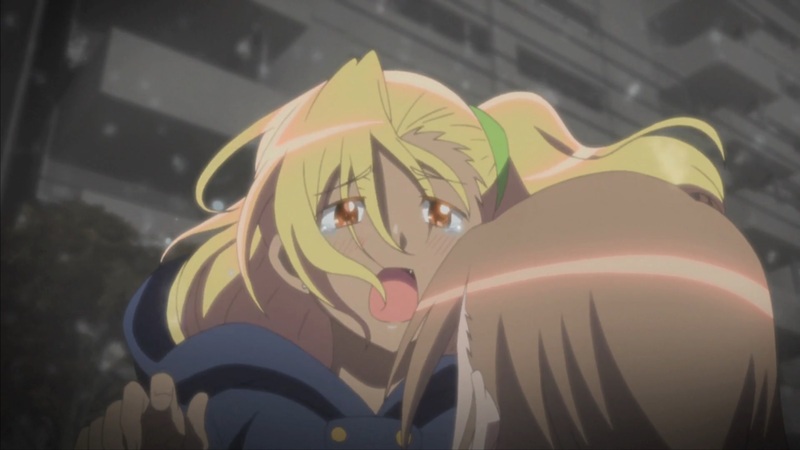 At this point, the kogal tearfully confesses her faults and apologizes as her mother forgives her for everything. One cannot but be reminded if the Parable of the Lost Sheep. Most Church Fathers say that the ninety-nine sheep who were not lost represented the angels, while the lost sheep represented man. The Good Shepherd did not content Himself with the myriads of the heavenly hosts and by means of their company console Himself for the loss of the comparatively small number of men lost through Adam’s Fall. Infinite is the difference between God and man, but God crossed from His eternity and immortality into our mortality: “…Christ Jesus: who, existing in the form of God, counted not the being on an equality with God a thing to be grasped, but emptied himself, taking the form of a servant, being made in the likeness of men;” (Philippians 2:5-7). Whenever we look at the Christ child in the nativity scene, we are reminded of the awesome humility and charity of God in effecting our salvation. But, our reconciliation with God on this earth is mingled with much imperfection. “We see through a glass darkly” (1 Cor. 13:12) and are often pressed by material and worldly concerns, which causes St. Leo the Great to remind us: “Christian, acknowledge your dignity, and becoming a partner in the Divine nature, refuse to turn to the old baseness by degenerate conduct…Recollect that you were rescued from the power of darkness and brought out into God’s light and kingdom,” (Sermon 21). But, seeing how Christ has conquered the power of darkness in His humility and obedience to God and through his unfathomable love of man, we hope the Christ child will at last lead us through every danger until at last we are united to our Father in heaven and see Him face to face–very much how Uehara’s hope of seeing her parents bore fruit at last with great joy on Christmas.